When thirsty as the days heat up, sipping cold iced tea under the hot summer sun can taste like paradise. Don’t settle for just any old tea - try a new one. White tea is unique in boasting several powerful benefits. Produced mainly in China, white tea was once considered scarce and set-aside exclusively for Chinese royals. Today, white tea is gaining recognition due to its mild flavor and health promoting qualities. White tea comes from a shrub called Camellia sinensis, the same species from which black, green and oolong teas originate. The differences between teas lie in processing the leaf. 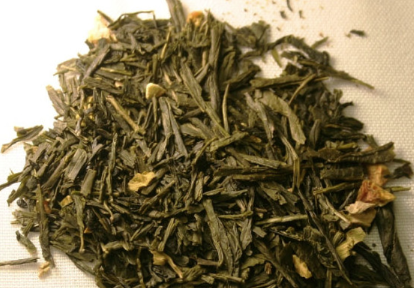 White tea is made from the youngest leaf buds carefully plucked prior to opening, then air-dried. White teas are unique in that the leaves are only slightly oxidized and are not rolled prior to drying like other teas, which preserve the abundance of good-for-you antioxidants. Quench your thirst for health with a cool glass of white tea, while partaking in exotic new ways to satisfy summer thirst. White tea is delicate and naturally sweet, lending a fresh aftertaste unlike the familiar “grassy” notes of green tea. White tea holds even higher amounts of plant nutrients and protective polyphenol antioxidants than green tea. A study from Pace University revealed that white tea extract (WTE)may have prophylactic applications in retarding growth of bacteria that cause Staphylococcus and Streptococcus infections, pneumonia, and dental cavities. 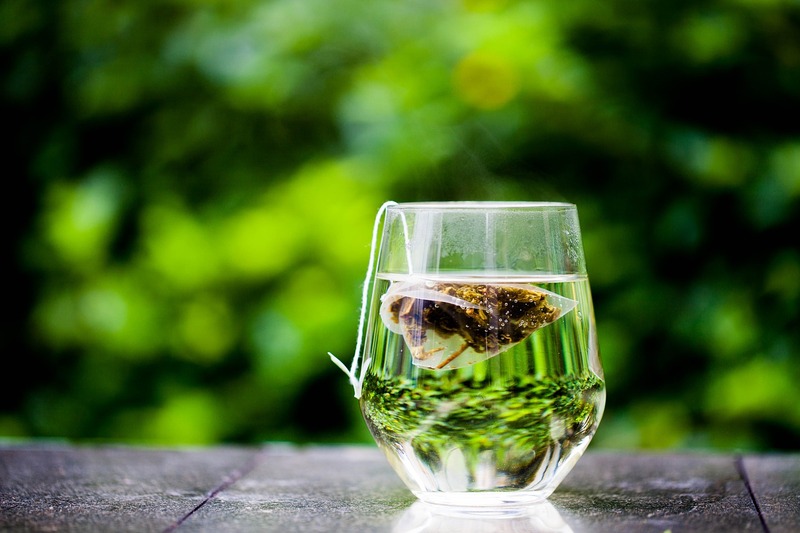 “Based on my research, white tea, in most cases, has a greater antimicrobial effect than does green tea,” says Dr. Milton Schiffenbauer, Professor Microbiology at Pace University in New York City. “My results indicated that white tea is more effective in inactivating a bacterial virus.” White tea makes an excellent low-caffeine option for those watching their caffeine intake. If you enjoy a lighter taste, white tea may gratify your thirst, but it’s not an iced tea preference for all. It may not be your cup of tea if you prefer a glass of customary bold iced tea, but then again, the tea’s remarkable light delight may surprise you. Once set aside for royalty in China, white tea is easier than ever before to find. You can find them in supermarkets, health stores, GNC, tea shops, and reputable online suppliers. TeaJo company, for example, now offers (www.teajo.com) a Tea White Leaf and Bud , full leaf white tea with buds, sweetish bouquet with soft velvety flavor and fruity notes – farmed in Upper Assam, one of the best tea growing regions in the world. You can enjoy white tea over ice not just for summer but every time when you are looking for a special and pleasantly refreshing beverage. Remember, the best of white teas come in loose-leaf. White teas are simple to prepare using loose-leaf and can go to three steps by adding couple minutes to each following step. It’s best to use only good quality, filtered water heated well before the boiling point. Water temperature should range between 170 – 185 degrees Fahrenheit for required servings. If the water is too hot, it can destroy the tea’s delicate flavor. Add enough tea, steep for approximately five minutes and cool, strain, and refrigerate for at least several hours. The key is to experiment until obtaining an ideal brew. "How many times has this happened to you? You open a new bag of flavored tea, the aroma is wonderful and you can’t wait to try it. You brew it with anticipation, taste it and then come to the big disappointment. It was nothing like you expected. The tea was either flat with no body, stale or just way over-flavored. My wife and I went through the same experiences too. This constant disappointment gave us the idea for TeaJo Teas,“ says Piccolo Swamy founder of TeaJo Teas, based in Tampa, Florida. “Our philosophy is simple…to make sure your teas are fresh, have the depth of flavor, smooth tasting and are full of body.” – continue Piccolo Swamy. Here’s how they do it: Teas that are fresher than anything you’ve ever tasted – why, because they buy in much smaller batches compared to our competitors – they don’t overstock loads of tea in a warehouse just to cut costs. Fresh, because TeaJo teas come from farmers, not factories. This is the biggest secret the best green tea we have ever tasted. TeaJo Teas most popular green tea is Lemon Ginger Sencha, a savory tea made with steamed Sencha (green tea) leaves and natural lemon and ginger. What makes Sencha so unique is that the tea leaves, direct from Chinese tea growers, are initially steamed vs. pan fried, which results in a greener color and more vegetal (grassy) flavor. The tea is very aromatic, light and refreshing whether you drink it hot or over ice! 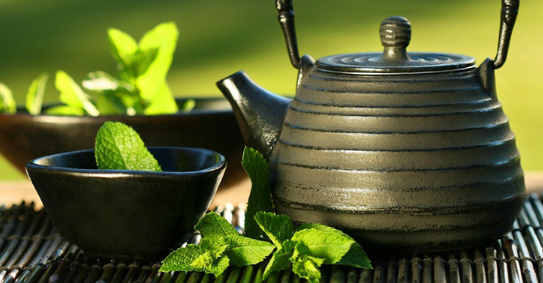 Green tea could lower the risk of colon cancer; say researchers at Seoul National University Hospital in South Korea. They are testing this in a study involving 180 people who have had polyps - benign growths - removed from their colon; these polyps can be a precursor to colon cancer. The patients will be given a daily green tea extract pill (nine cups of green tea) or no treatment. The researchers believe compounds in green tea prevent the rogue cells that could lead to polyps from developing. Black Tea " the queen of the night." Personally I like my perfect cup of black tea. Rich tasting black tea from one of the most prized growing regions in the world – black tea is loaded with excellent health benefits and often gets forgotten with all the hype about green tea. Every flavored black blend starts with a base of full-bodied tea leaves direct from Assam, a region in India well known for its very tea-friendly climate and soil. TeaJo best-selling black tea is Tropical Mango, a smooth, fruity tea with great body and natural mango flavor. Founded in 2008, TeaJo is the loose tea company that sources 100% from growers, the fresher the better! It is 100% natural ingredients and organically farmed teas – you’ll find no chemicals, fertilizers or pesticides in TeaJo teas. They also use only natural flavorings, ingredients and spices from plant-based sources – no fake, artificial flavors. You’ll never get over-flavored teas from TeaJo either. 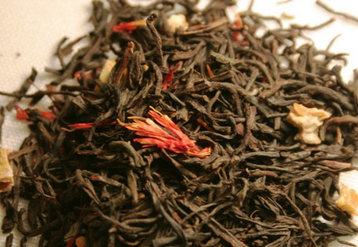 While TeaJo specialty is black tea, they also offer several flavored Rooibos teas as well. Rooibos is naturally caffeine-free, loaded with health benefits and is incredibly smooth and flavorful. Photo by courtesy of TeaJo Teas.